Your email address with only be used by us to keep you informed about events and we will not pass on your details to anyone else. You can unsubscribe at any time. Saddleworth Live is programmed by Tim Newbold and Michael Powis. Please keep in touch! 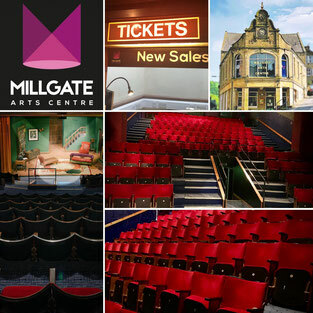 We are always looking to add to our programme of events, so we are constantly on the look out for interesting plays, shows, cabaret, music, comedy and everything in between. Stay up to date with the latest news and events by signing up for our newsletter. If you would like to discuss bringing your show to Saddleworth, please contact us. Open Tuesdays 2pm–5pm; Wednesdays 2pm–7pm; Thursdays 1pm-6pm and Fridays & Saturdays from 9:30am–1pm.